OFF is Denmark’s international short film festival, and with its launch in 1975, it is also the country’s oldest film festival. OFF is an alternative film festival, born with passion and creativity; a spirit the festival has maintained and nurtured ever since. 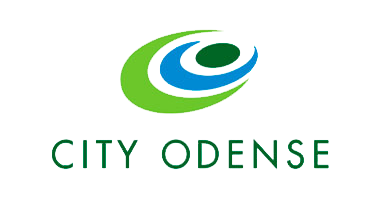 OFF supports and celebrates the short film genre without compromise, but at the same time Odense International Film Festival is a festival for the audience, and every year we experience a massive support from the locals in Odense. Hundreds sign up as volunteers, and even more visit our festival for the high quality experience we deliver. OFF works all year round to support Danish film culture, and to offer and develop diverse film experiences for people to enjoy. ”Expect the unexpected” – OFF is outlook to the world and insight into one self. A break from the grey everyday life, where obligation is replaced by adventurous desire. Desire for more. Desire for something new. Every year ’Brandts Klædefabrik’ in Odense is transformed into a magical site, and everyone is invited to enjoy experiences, that cover the entirety of the emotional spectrum. OFF celebrates the short film format as media and art form, and above all, all the creative individuals who put their heart and soul into creating short films. In the days leading up to the festival, we receive thousands of short films, both Danish and international, and our carefully selected jury picks out the very best to be shown at our festival. The films are shown in sessions of five to eight short films, which last up to two hours. If the filmmakers are present at the festival, they will be at the screenings to talk about their films and answer questions from the audience. Every year, the festival ends with a grand award show with ovations and celebration, where we announce and celebrate the winners of our four competitions: The International Competition, the Danish Competition, the Animation Competition, along with our newest addition; the Documentary Competition. In 2013, OFF were rewarded a very prestigious title in the film business. OFF was acknowledged as Denmark’s first Oscar qualifying film festival. This meant we could send the winners from our Main Competition and Danish Competition straight to the pre-jury of the Academy Awards in Hollywood. In 2015, we were given yet another Oscar qualifying category; the Animation Competition, and as the latest, the winner of the Documentary Competition will also be sent to the Oscar selection in 2018 – thus sending all winners of our short film competitions to the prestigious Oscar Committee. However, OFF is for all lovers of cinema. That is why, in collaboration with TV2/FYN, we give out the Audience Award as well, which is given to the film, who receives the most text message votes from the audience. We also have a ‘Youth Jury Award’. In this category, the nominated films are judged by a youth jury consisting of an 8th grade class from one of the local schools, who receive training in what to look for, when judging films. Last, but not least, we award the two best pitches in the Pitch Me Baby competition with economic support to bring their films to life. A total of 14 awards are awarded the very best films at the OFF Award show. The short film is a genre as multifaced as ever! Expect butterflies in your stomach but also brace yourself for an unwavering stare into the pits of human existence. The number of short film in this competition varies and consists of 60-75 international and Danish film. After a thorough viewing they are chosen from a field of over 2,500 short film; firstly by a pre-jury and secondly by a selection jury, who chose the film with the biggest OFF-feel. The chosen short films are shown during the festival and by the end of the festival week the jury of the main competition hands out three awards; H.C.A. Award, Storyteller Award, and Artist Award. *Notice that all film in the main competition are unsuitable for children. Danish short film is alive and kicking. Don’t take our word for it: See for yourself in this competition. It is a difficult task for the jury to pick our and chose the best short film form Denmark. Some of the films also compete against international film in the main competition. In this competition the following awards are handed out: Best Danish Short Film and the Talent Award. In addition, the Danish Film Academy has shortlisted the films in this selection for their Robert award, also known as the Danish Academy Award. At OFF, we know animation. From exclusively screening animated films between 1975 and 1983, OFF has since expanded its definition of a short film to include all genres. Audiences are in for a stunning sensory overload with pieces of creative madness from international and Danish animators. In this competition, the Danish Animation Society (ANIS) chooses the animation jury, who hands out the awards: Børge Ring Award and the Talent Award. This competition category was added to the festival in 2018 and is the place to get your fix of undiluted documentary screenings. We feature documentaries that make full use of their platform given to enlighten their audience, either by bringing forth a new, important subject or point-of-view, or giving an existing discussion new light. We know the long documentary from TV, but the short version is still very unknown to many people. The short documentary can be very intense and it introduces the audience to parts of the world, which one would seldom (or never) otherwise experience. During less than 30 minutes the audience has the opportunity to visit areas of the world, they didn’t knew existed, they get to meet people with strange personalities, or to simply experience a slice of life, depicted in unusual ways. In this competition two awards are handed out: Best Short Documentary and the Soapbox Award. Short film have a lot of great qualities, one of them being the ability to broaden the mind and start a conversation. This competition show short film made with young audiences especially in mind. Every year the jury for the youth competition is a specially chosen, local school class with children in the age of 14-16. Their job is to choose the best youth short film across all of the competitions. *All film suited for young audiences ages 14 and up. The Pitch Me Baby competition is a live pitch competition for filmmakers. The Danish Film Directors/ Danish Writers Guild award a DKK 35,000 scholarship is awarded to the person who most persuasively can pitch their short film idea in front of a jury and an audience. Contestants only have an intense five minutes to present their idea. When the presentation is over, the jury will probe and prod the contestant for 15 minutes with shrewd questions to test the validity of the project. In addition to the competition program, OFF also consists of a focus programme every year. The contents of the focus programme is a variety of films, debates, seminars and much more, and the audience are invited to participate and to immerse in these focus topics. Every year, our “Artistic Profile” gives a unique angle to the festival with a tailor-made section of the focus programme. OFF also offers open-air film screenings and a Talent Symposium for the students of the Danish film academies. Furthermore, OFF always has an extensive programme planned out for children and youth from Odense, ranging from the youngest pre-schoolers to high schools, that might have a dream of becoming a film maker. We also offer a PLAY-OFF section, dedicated to VR and computer games, and in Animation Fix, we show the best from the animation world. The whole programme ooze of our love for short film, and all of it is for you. All of this takes place in the area around Brandts; In Café Biografen, Kulturmaskinen, Magasinet and in the open-air area of the Amfi Theatre – and everyone is invited to take part in the festivities. Most of these events and film screenings are free, so everyone can come and take part. However, we do recommend that you secure a seat by booking a ticket for the screenings. Odense International Film Festival is not just short film in the dark and red velvet seats. It is an event that opens doors to a world filled with inspiration, surprises and emotions. In the days leading up to the festival and all through the week, all of Odense is imbued with events, workshops, music, parties, seminars, interesting guests and impressions from all over the world. They are all here; film critics, film personalities, up-comings, dreamers and marvelors – and hopefully YOU! Get ready for sweet, fun, sad, sensual, and OFF experiences. See you in August! OFF is Denmarks international short film festival and with its beginning already back in 1975, OFF is also the oldest film festival in the country. The festival was started in recognition of the 100th anniversary of the death of Hans Christian Andersen. The initiator of the festival was the film editor for the local newspaper, “Fyens Stiftstidende”, Bent Aagaard, and the festival was called “The International Fairytale Festival”. Back then, the festival celebrated fairytale-inspired animation films in the spirit of Hans Christian Andersen, and it was going to be held every second year. In 1983, the first shift was made in terms of festival administrator. The choice of new administrator fell upon the internationally renowned film director and writer, Henning Carlsen. With this change of management, other changes were also introduced; the most important being that the film festival opened up to other categories of short film. Creative short films of all kinds were now welcome to enter, and the festival changed its name to “Odense International Film Festival”. 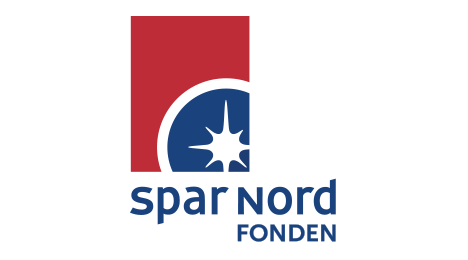 Furthermore, in 1985, this change was reaffirmed when the internationally award winning documentarist and artistic director of the festival, Jørgen Roos, moved the festival to “Brandts Klædefabrik”, where it has been held ever since. The new concept of Odense International Film Festival was so successful that a need for an annual film festival became apparent. Consequently, in 1994, the Danish Film Festival was initiated, which was to be held every second year, and as such fill the yearly gap between the festival in Odense. Allan Berg Nielsen took over the artistic management of the Danish Film festival, which focused mainly on Danish films, as opposed to Odense International Film festival, which dealt in the international realm of films. In 1995, with Frantz Ernst in charge of the Odense festival, we celebrated two special anniversaries. OFF turned 20, and film as media turned 100 years. This was celebrated with film screenings of some of the very first films ever made, created by the French Lumiere brothers. At the time, the Danish Film Festival was run by Ulrich Breuning, who has a special place in the heart of OFF. Ulrich Breuning continues to this day to be a valuable help to OFF, and we consider him our “grand ol’ man” in the development and history of OFF. When Christian Braad Thomsen stepped in as artistic director in 1997, he started an important era for OFF. The Danish Film Festival and Odense International Film Festival melted together and became one festival under the name Odense International Film Festival, open for both Danish and foreign films. The festival was to take place every year. Christian Braad Thomsen stayed on until 2005 and made quite a few changes and innovative initiatives. Among other things, Thomsen introduced the independent youth jury, “Video Clip Cup” and he was the man behind making Magasinet venue for the festival. This development with new initiatives was carried on by the following artistic director of the festival, Cecilia Lidin, who also initiated a cooperation with ANIS – The Danish Animation Society – and created a competition and award for Danish and foreign animated films in the festival. In this same period of time, the Video Clip Cup was replaced with what we know today as Talent Camp for young film makers. In 2009, Birgitte Weinberger took over the festival and was given a completely new role as both head of festival, as well as artistic director of the festival. Prior to this, the festival had not had an actual head of festival, but instead the managerial structure had been centered around a local administrator and an artistic director. In 2009, the organizational structure was thus strengthened with a manager, that was visible and active all year round. With these managerial changes came the introduction of the so-called “artistic profile”, that was to change every year. From that moment, the festival was to have a high-profile artistic persona from the film industry as “artistic profile”, a person who would function as an external contributor with his or hers personal angle to the festival programme. The festival has over the past 6 years experienced significant growth as Denmark’s International Film Festival. The clearest example was when OFF in 2013 was Denmark’s first and only film festival, that could call itself Oscar-qualifying, and thus send the winners of, now all four, competitions to the Academy Awards. OFF grows increasingly strong, especially because of the many partners who help OFF reach new heights each year. In 2015, OFF celebrated 40 years of festival with plenty of gold confetti, glamorous parties and fantastic fun. Guests came from all over the world to celebrate with us, and never before has OFF had so many visitors, whom we of course gave a huge injection of short films and love. Our 40th birthday culminated with the publication of an anniversary book in December 2015, packed full of interviews with directors, artistic profiles and other people, who over the years have had contact with OFF.